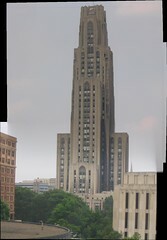 Today I discovered AutoStitch, a free panoramic image maker. You take a number of pictures of one subject, put them all in the program, and it does the rest. I’m rather impressed with the results, even when I’m not trying too hard to take good source images.